If you could only teach 4 domains to students in math, which ones would you chose? Findings: Even though each site chose different domains, we found that each site chose a particular domain, Algebra, Reasoning with Equations and Inequalities. We also discovered that the perspective in which they were working helped them decide which domain they chose. 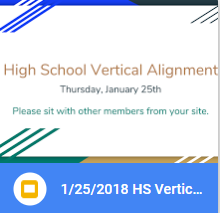 For example, one site chose one their domains based on how students would use math after high school. 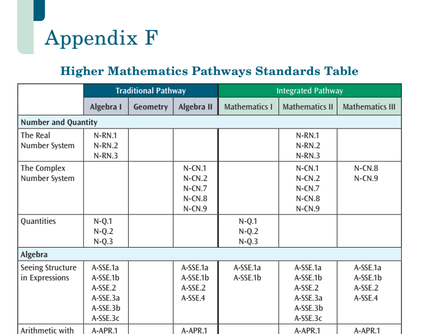 Others chose the domains based on the fundamental principals of mathematics that students should leave high school with to become good problem solvers. Pick a domain, track it from IM I through IM III, and create a thinking map of your findings. Findings: Even though the focus of the domain changes as we progress from IM I to IM III, in our discussions we found that we can use the same language to support the progression of student learning from IM I to IM III. 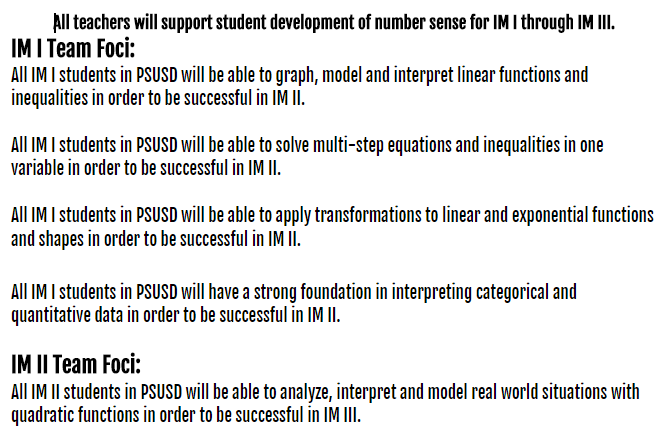 We also came up with foci for each of the grade levels.